Watch: Friday Night Fun! Extreme Landings! Sometimes landings don’t go as planned. Sometimes they are just extreme. Some of these are really good! Intense Bush Pilot Landings In The Back Country! Saturday Fun! 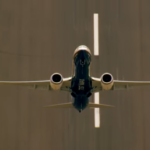 Watch 10 Awesome Vertical Takeoffs! Some of These are Good! Watch: Wingsuit Flyers Jump Off Cliff and ‘Fly’ Into an Airplane! Must See! Watch: Solar Eclipse from an Airplane!